This TCMA issue includes 28 cards, above-average for their late 70s sets. 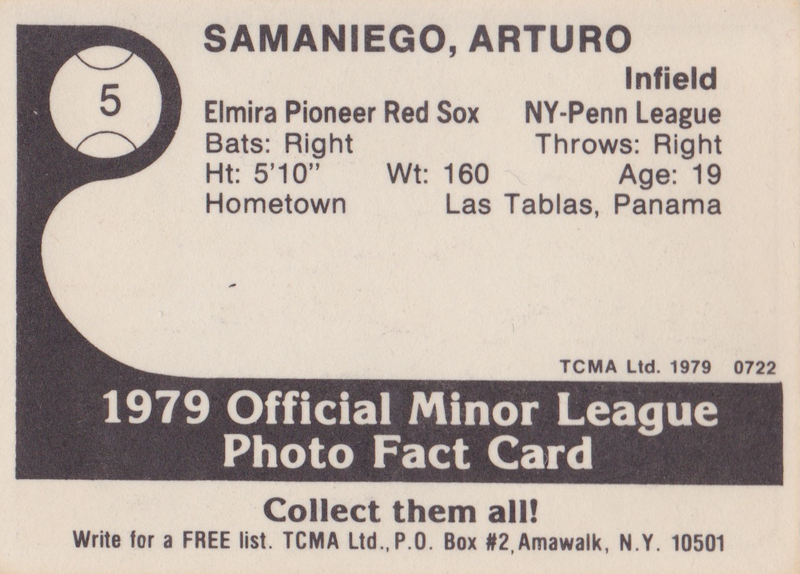 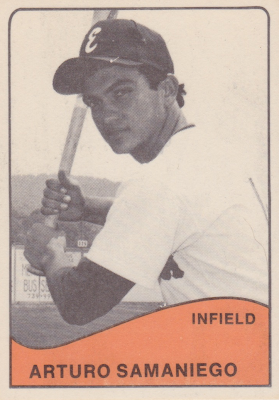 Value: Like most of my 1979 TCMA cards, Arturo cost $2 at MinorLeagueSingles.com. Low-A teams like Elmira produce few stars and only two players on its 1979 roster made the bigs, Jackie Gutierrez and Tom McCarthy, so the team set's affordable at $20-30.